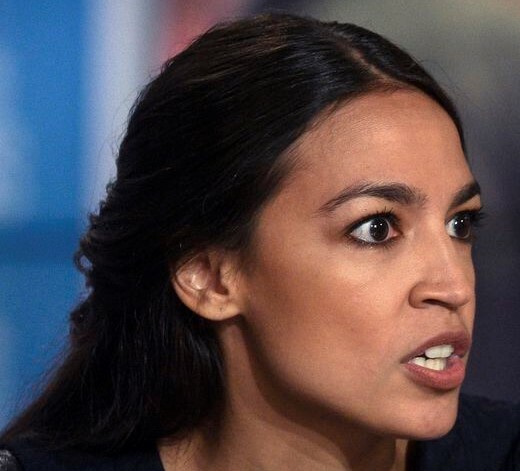 As you all now by now, AOC has gone (click) berzerk (“we’re gonna rock this house till we knock it down”). But not so fast Circus Freak, who by the way, is no friend of Nancy Pelosi. Ms. Pelosi, from San Franshitco, knows one when she sees one; being a San Francisco celebrity, she has seen it all. The Speaker of the House gave AOC the finger yesterday or should we say the new F.U. (Nancy Pelosi clarified that “f*ck you” clap, and here’s what she had to say) clap, when AOC was left off a committee studying climate change. AOC tried to whitewash the snub, however Pelosi did knock her down to size. The circus has begun, “children of all ages” are expected to respect decorum, but not like babies with soiled diapers. Sideshow freaks are frowned upon when they call for the “lime light” to shine only on them. We are surprised that this Ocasio has usurped the San Francisco freaks at their own game. We suggest she move there immediately before the next “BIG ONE” hits. Click here for the Billionaire ban.